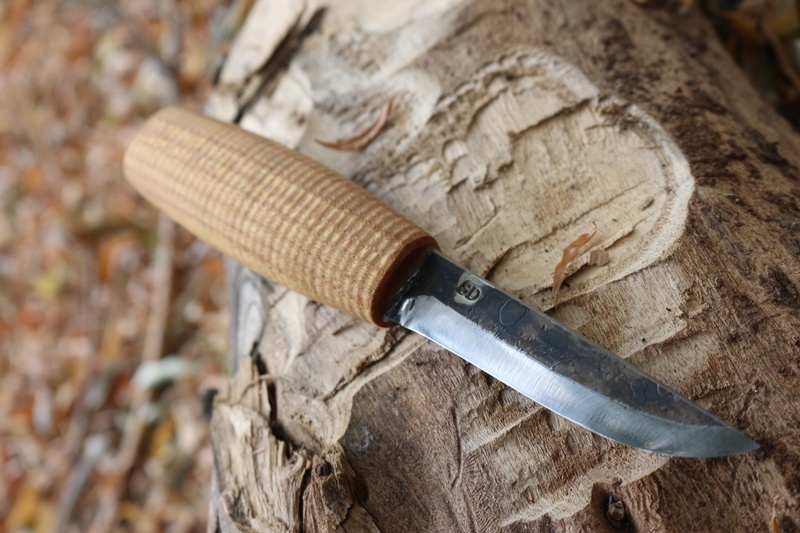 Svente Djarv Swedish Camp or carving knife 4in. Hand made in Sweden by a husband and wife team. 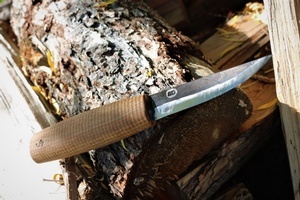 Svente is a blacksmith of high standing an makes highly practical and worthy tools for the outdoorsman and woodworker. This is a tradional scandi style (stick tang) knife in hand forged Swedish high carbon steel, scandi ground to a razor edge and a lovely knife to own and use. Production is very limited, and we are very happy to have some in stock. No sheath with this. Handle is his Local (Swedish) grown birch. 58HRC. Purchase through PayPal by using the "Add To Cart" button above or use the form below to order the S.Djarv Swedish Camp Carving knife 4in . 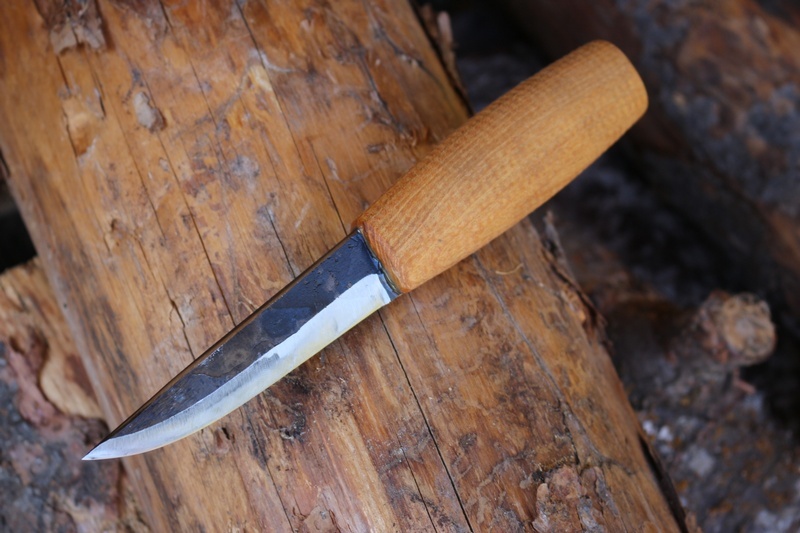 Feel free to contact us if you have any questions about the S.Djarv Swedish Camp Carving knife 4in .